So I've read today about image rot and I need to start using imgur if I want to make my answers more durable. Knowing that now, I just answered a question and guided someone to a shape builder tool tutorial on YouTube and I am now wondering if there are best practices for linking to YouTube videos? What I'd suggest is to link to the video and also include a quick text/image summary of whatever the crucial part of the video is, like a couple of quick bullet points, and/or an image and a line or text saying what's happening. It helps people understand what your answer is about faster. Some people (including me) get a bit grumpy and impatient trying to wade through a video past lots of stuff they already know for the crucial bit that contains the new or unusual trick. People who like watching the whole video still can, and benefit by knowing what part they need to pay extra attention on. 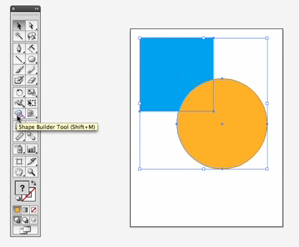 ...then just say that after applying the shape builder tool you can click, drag etc etc and it switches between different intersections of the shapes. While the video is still there, you're giving people an idea of what they're getting and helping people get straight to the important part. If the video goes down, there's just enough that people can muddle through without it. On Windows, you can get screenshot snippets with the Snipping Tool from the Start menu under All Programs > Accessories. On Mac, it's command + shift + f4. I'm no lawyer but I'd be amazed if one partial screenshot linking back to the original wouldn't always be considered "fair use". Adding to what's been discussed in the comments, and to user568458's answer, I'd say an animated gif is - when available - a great option. But since creating one would probably take as much time as explaining a video, and sometimes video is the only option, you could use a comment instead of an answer. In both cases, if a link breaks it can be flagged for deletion. Now, if the answer was the accepted answer, then the whole question needs to be deleted or left orphan again.